It was the worst kept secret in tech, but music-streaming service Deezer lifted the lid on its whopping $130m funding round today, something we first confirmed earlier this week. But in front of a packed room at Abbey Road Studios in London – the very same room Pink Floyd recorded Dark Side of the Moon – there was a slew of new announcements. Perhaps most notably, Deezer is launching a new free service and is opening in 76 more countries, taking its total tally to 160 territories, with Africa and Asia getting a big look-in on this occasion. The elephant in the room, of course, is the continued side-stepping of the USA, a country that – even with its latest funding round – won’t be receiving the Deezer treatment. 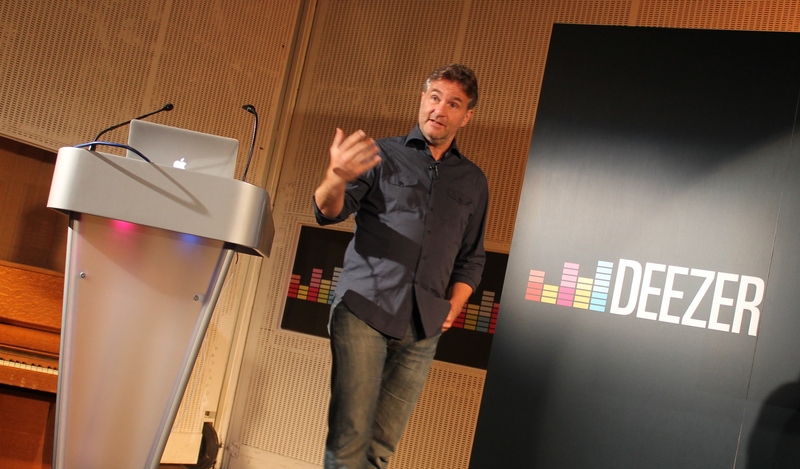 So factors outwith Deezer’s direct control will dictate when – or even if – it launches Stateside. And the same applies to Japan, another notable absence in its international armory. Other omissions? China, India, Middle East, Turkey, Brazil…apparentlywill be opening “soon”, it’s just a case of getting the available content right for those markets. The Next Web sat down with Deezer CEO Axel Dauchez to discuss all of this, as well as why there was a delay in its previously announced plans to launch in 200 countries by the end of June this year, how it has been able to aggressively target so many countries compared to Spotify and the imminent launch of its ‘free’ service.